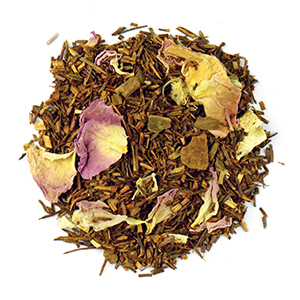 Rooibos tea, Popped amaranth, White cornflower petals, Peach pieces, Natural flavor. 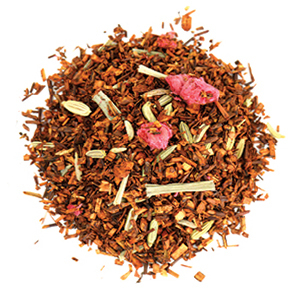 Rooibos tea*,Cinnamon bits*, Orange peel*, Rose petals*, Ginger*, Cloves*, Black pepper, Cardamom*, Natural flavors. *Organic. 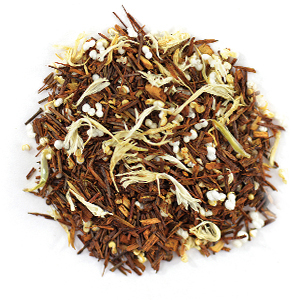 Rooibos tea, Peppermint leaves, Calendula petals, Cocoa bean pieces, Natural flavors. 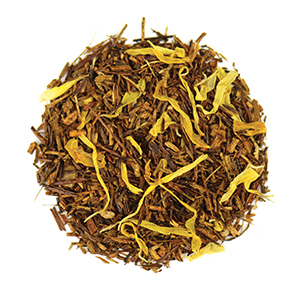 Rooibos tea, Calendula petals, Natural flavors. 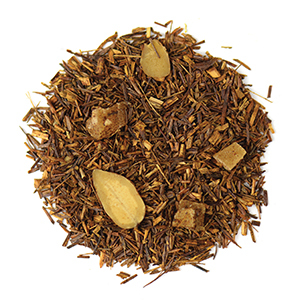 Rooibos tea, Papaya pieces, Almond pieces, Natural flavors. Contains: Almonds. May contain other tree nuts. 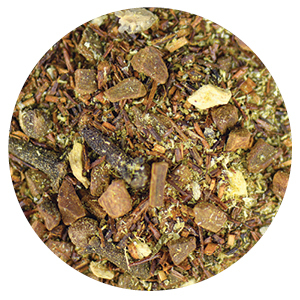 Rooibos tea*, Chamomile*, Cinnamon*, Cardamom*, Black pepper*, Ginger*, Cloves*, Natural flavors. *Organic. 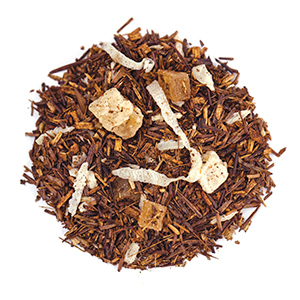 Rooibos tea, Pineapple pieces (cane sugar, pineapple, citric acid), Coconut pieces, Natural flavor. Contains: Coconut. 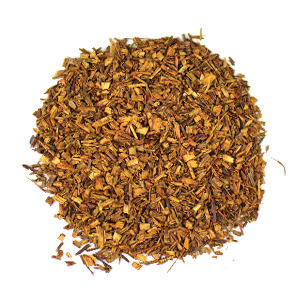 Rooibos tea, Safflowers, Natural flavor. 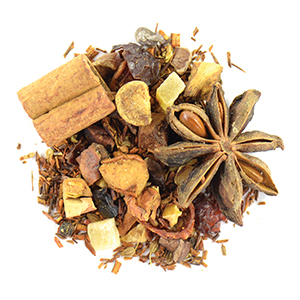 Apple bits, Rooibos tea, Pineapple bits (pineapple, sugar, citric acid), Cinnamon sticks, Rose hip peel, Cocoa bean bits, Star anise, Anise, Almond bits, Cloves, Pink peppercorns, Natural flavors. Contains: Almonds. May contain other tree nuts. 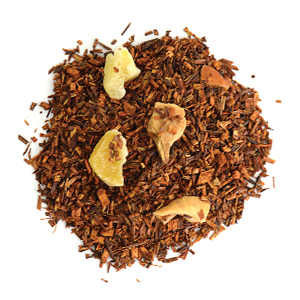 Rooibos tea, Apple pieces, Mango pieces, Natural flavor. 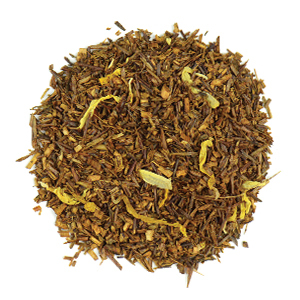 Rooibos tea, Fennel seeds, Lemongrass, Raspberry pieces, Natural flavors. 1. 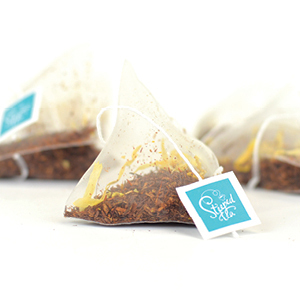 Scoop loose-leaf tea into an infuser of your choice. 2. Fill cup with hot water and submerge infuser with tea into hot water. 3. Steep for 4-6 minutes for best flavor. 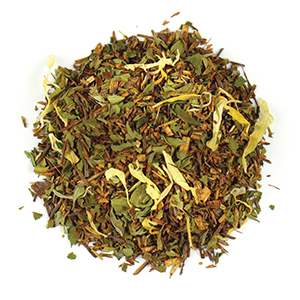 Stack and store your teas for extra freshness with the Stacking Tea Tin (9403). 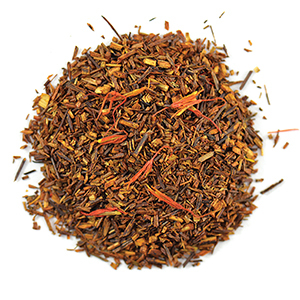 Contact your Sipologist to book your next Rooibos Tea Tasting with friends! 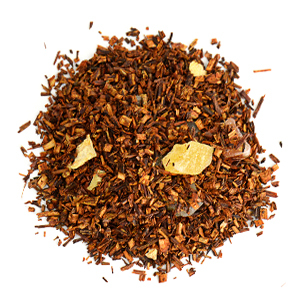 Rooibos tea, Pineapple pieces (pineapple pieces, cane sugar, citric acid), Papaya pieces, Orange peels, Natural flavors.